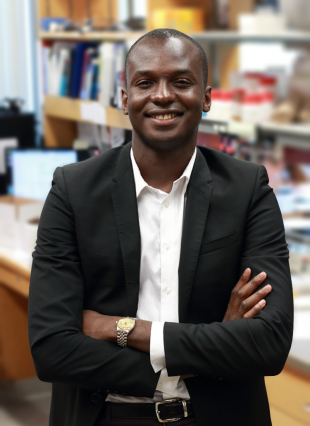 ​Professor Ibrahim Cissé is currently the Class 1922 Assistant Professor of Physics at the Massachusetts Institute of Technology (MIT) in Cambridge, USA. He is native of Niger, where he lived before moving to the US for college. He received his Bachelor of Sciences in Physics in 2004 from North Carolina Central University, and during that time his research was to investigate the packing of ellipsoids using M&M candies, under the guidance of Professor Paul M. Chaikin (then at Princeton University, and currently at NYU). He received his Ph.D. in Physics from the University of Illinois at Urbana-Champaign in December 2009. His graduate training was at the interface between Physics and Biology, working under Prof. Taekjip Ha (then in Illinois, currently at Johns Hopkins University). Then he moved to Paris from January 2010 to December 2012, where he was a Post-doctoral Fellow at Ecole Normale Supérieure de Paris, jointly in the departments of Physics and Biology, as a Pierre Gilles de Gennes fellow and a European Molecular Biology Organization long-term fellow respectively. He moved back to the US in 2013, and worked as a Research Specialist at the Howard Hughes Medical Institute’s Janelia Research Campus before joining the Department of Physics at MIT in January 2014. He has received multiple national and international awards, including the Young Fluorescence Investigator award from the Biophysical Society, The Pew Biomedical Scholars, and the National Institutes of Health Director’s New Innovator Award.